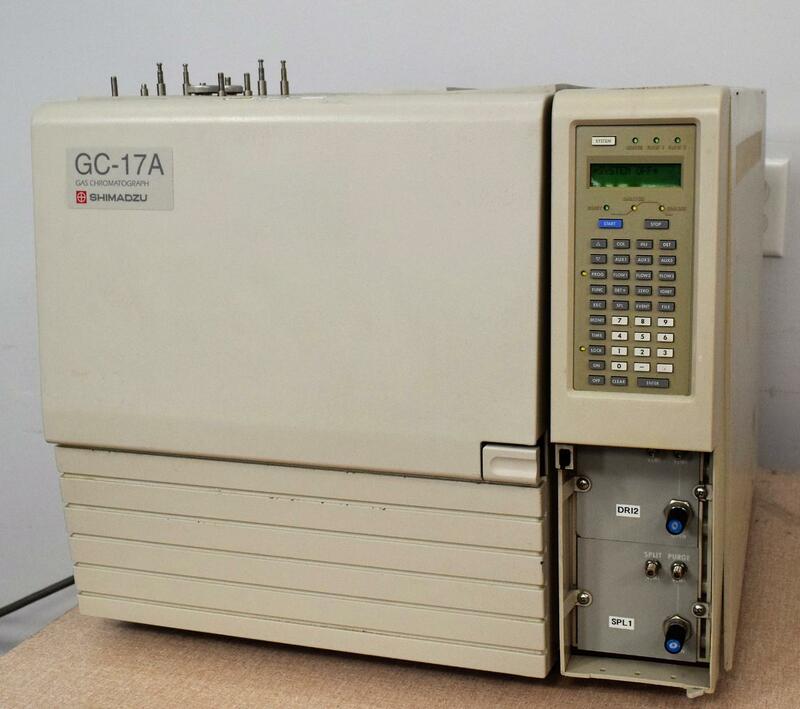 Shimadzu GC-17A Gas Chromatograph Analytical Chemistry . New Life Scientific, Inc.
Chromatography is one of the most useful analytical techniques chemists have at there disposal, it is helpful in everything from identifying biological materials to finding clues at crime scenes. To ensure the integrity of our equipment they are picked up and handled by our professional logistics team. Our in-house technician inspected and tested this Shimadzu GC-17A Gas Chromatograph, confirming it to be functional. Technician tested the unit by initializing & passed self tests, all buttons are responsive when pushed, the heater engages and heats the chamber.